Do you identify yourself as a music fanatic, a sound purist, or an audiophile? Well, if you are, then you’d surely love the COULAX mini portable driver powerful wireless speaker. 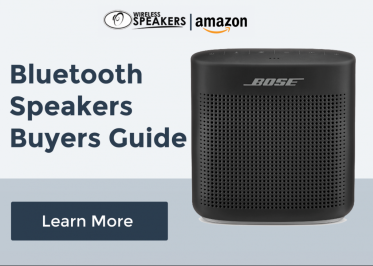 This speaker should be your first choice if you’re looking for an excellent sound quality in a wireless speaker. They’ve made it simple, yet it looks classy. The simplicity of its square design has a radiating beauty in it. Its black exterior gives it a classic vibe. What’s making this wireless speaker better is it’s waterproof. Yes, you’ve read it right, it’s waterproof. The COULAX mini portable driver powerful wireless speaker is small, and there’s nothing you can do to hide that fact. This speaker measures 3.6 inches by 1.3 inches and weighs about 5 ounces. Don’t let the size trick you though, you might be amazed how powerful this compact speaker can be. The sound it produces is distortion-free, letting you be immersed in it. Not only does it come in a compact size, but it also makes music more powerful and vibrant. The lows are as smooth and precise. Its highs soar as much as they can while still sounding clear. The mids have crisp in them. There’s consistency in every little detail of sound, and that’ll make you fall in love with this wireless speaker. 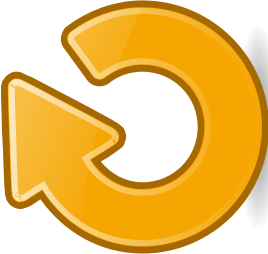 Enjoy listening music with distortion free. Inside the packaging of the COULAX mini portable driver powerful wireless speaker, you’ll find the Bluetooth speaker. You can also find the micro USB cable, the 3.5 mm audio jack and the user instructions guide. Above all of this, you’ll be assured of COULAX’s 12-month warranty that’s top notch. 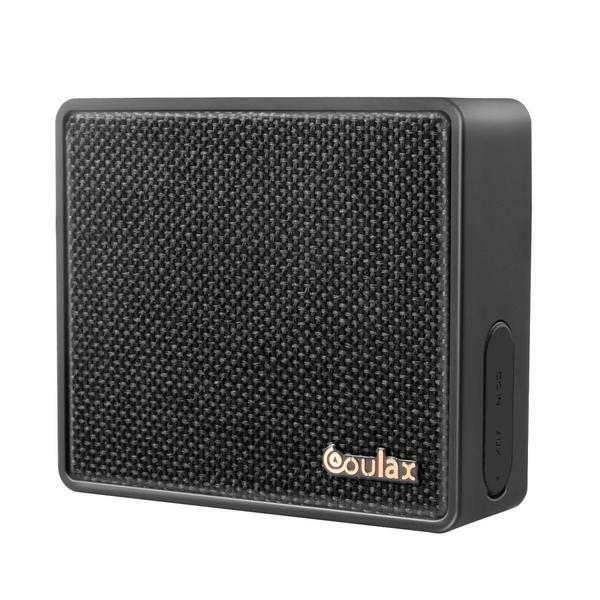 The COULAX mini portable driver powerful wireless speaker has an excellent sound and volume. They have subwoofers that provide high quality, loud and distortion-free music. For something so small, it has stamina. It has a 10-hour playtime for every single charge. The speaker can connect through Bluetooth connection and AUX connection. This might be just the perfect wireless speaker for you. You can experience powerful studio sound. It has long range connectivity, long battery life, and is portable. Purchase one now, and experience how good this wireless speaker is! What I love the most about this wireless speaker is that I can freely move around away from it. It can stay connected to my device even up to 33 feet. Plus, it’s so small that it’s easy for me to carry it everywhere.